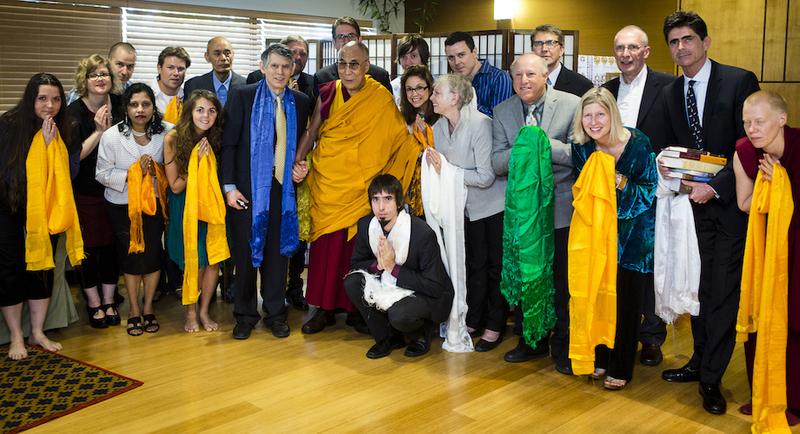 His Holiness the Dalai Lama visited International Office in 2013. FPMT International Office is the steward of FPMT activity. It is Lama Zopa Rinpoche’s office, and home of FPMT Education Services, Center Services, Finance and Development, Charitable Projects, Mandala Magazine, the Foundation Store, Online Learning Center, and fpmt.org. Support for our work benefits beings and FPMT communities around the world. Please use this online donation form to below to make an offering. Thanks so much! If you need any other help with your donation or have questions about the Give Where Most Needed Fund, please write to Donor Services.